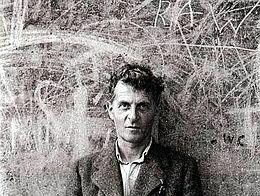 Ludwig Wittgenstein - "Language is a part of our organism and no less complicated than it." Language is a tricky topic, and one that often comes up in discussion of international business. It’s a fascinating topic, but also one which can be intimidating to folks considering international expansion. “Just how tricky could it actually be?” you ask….well, let’s start with our own. You’re getting ready to go international, so do you need a translator or an interpreter? If you’re like most folks you’ll say “What’s the difference?” and that’s my point. a. One employed to render written works into another language. b. A computer program or application that renders one language or data format into another. 1. One who translates orally from one language into another. A translator works with written material while an interpreter’s medium is spoken language. So if you show up for a negotiation session in a foreign market how well is that translator that you requested going to facilitate your discussions? Words have certain explicit meanings. They also carry implicit meanings and we tend to assume meanings based on cultural and other cues. So just imagine, if the simple distinction between two related words in our native tongue (and ones which should be clearly distinguished by folks in the realm of international business) how many landmines exist in our international business communications? Certainly English is the international language of business, but exchanging pleasantries is generally not an area where miscommunication will torpedo a deal. In contrast, relying on your high school classroom French to navigate business in Africa, or on the pop music learned English skills of your distributor in Brazil is going to lead to costly mistakes. Language is an important consideration in international business. Sure this is a challenge, but it is also a huge opportunity. If you carefully localize your marketing messaging you will blend into the environment and simultaneously distinguish yourself among those who have experienced frustrating international business language challenges. Distributors, agents and reps will love working with you. Customers will be comfortable with you. And most importantly you will control your message and not rely on others to casually present the critical elements of your value proposition. But this isn’t going to happen by casually tossing it around to ethnic friends. Proper translation is not only critical to business success, but also difficult to find. Translators and interpreters numerous – but professionals whose work is reviewed as colloquially appropriate and proficient by native speakers are a rare breed. Proper professional translation isn’t free, but you needn’t be intimidated by the potential cost either. (Keep your eye open for our upcoming article on how to select a good translator / interpreter.) And keep in mind that charges for this sort of international business development expense are eligible for STEP grant assistance in most states and also supported by the Ex-Im Bank’s new Global Credit Express program to help SMEs afford the costs of launching an international business initiative. Ready to improve your international (or even domestic!) marketing? Want to localize and refine?